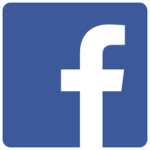 Welcome to the English web-pages of Italian Association “Amici di Raoul Follereau” (AIFO). AIFO is a grassroot organisation with groups and regional coordinations covering the whole of Italy. 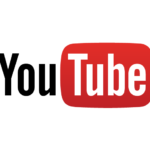 It is also an international network organisation with member associations in India, Brazil and Mongolia. AIFO is in official relationship with the World Health Organisation (WHO). AIFO collaborates actively with Ministry of Foreign Affairs and is recognised by Ministry of Education of Italy for the training of school teachers. The international activities of AIFO focus on on two main areas – (1) Community health programmes with a special focus on leprosy (2) Community-based Inclusive Development (CBID) programmes open to all the different groups of persons with disabilities including persons with disabilities due to leprosy and persons with mental illness. AIFO is a founder member of International Federation of Anti-leprosy Associations (ILEP), International Consortium for Disability and Development (IDDC), Italian Disability and Development Network (RIDS) and Italian NGO federation Focsiv. You can also check the Italian website of Aifo. Thanks to all projects which had received funds and other support from Aifo during the last year for completing and sending the Annual Monitoring forms. The information collected from all the projects will be used for preparing Aifo’s Annual Social Balance. Annual reports from different Aifo supported projects are now available in PDF format for download. 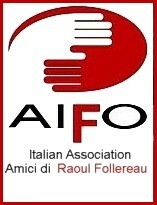 This is the English webpage of AIFO – Italian Raoul Follereau Association.